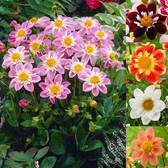 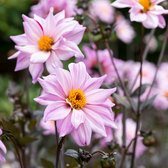 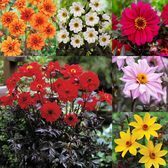 A superb selection of Collarette and Mignon Dahlias, much sought after for their amazing growing habit and bee-friendly single-flowers. 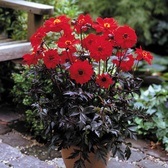 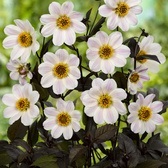 Great for the border where the excel, or for growing in pots on a patio for an injection of colour. 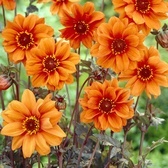 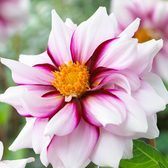 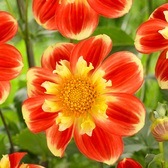 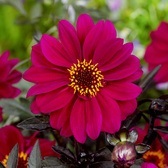 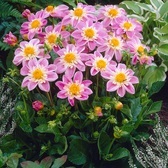 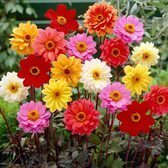 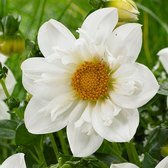 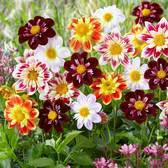 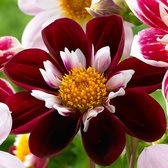 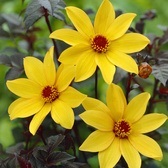 Collarette Dahlias have a single row of flat petals with a burst of colourful florets at the center of their disc. 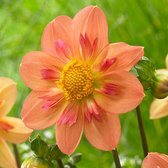 Mignon Dahlias are nectar-rich varieties which are superb for attracting butterflies and bees to the summer garden.